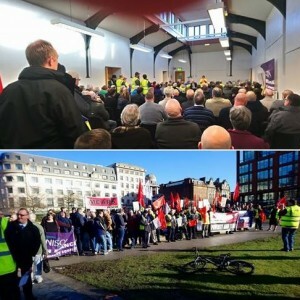 The National Shop Stewards Network (NSSN) is supporting the national day of action this Saturday February 3rd to protest against the crisis in the NHS. There will be protests around the country, including an emergency demonstration in London. 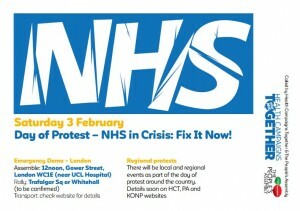 ‘The NHS In Crisis – Fix It Now!’ day of protest Saturday February 3rd: includes Emergency Demonstration in London (Assemble 12noon Gower Street WC16), coupled with regional action and demonstrations in response to winter crisis (also supporting NHS unions’ pay claim) – called by Health Campaigns Together (HCT) and People’s Assembly. 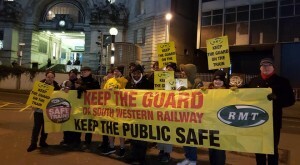 Details for transport for the London demo and local protests can be found on the HCT website. 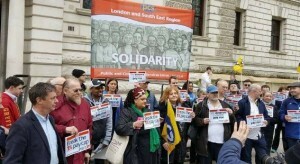 We are now advertising for the TUC 10-day union reps and health and safety reps courses for the forthcoming summer term. We would gladly welcome if this email could be forwarded to other union reps who may also be interested in attending. Diploma in Occupational Health & Safety – Classroom based – 18th April 2018 – 3rd April 2019 – at level 2 (these dates include summer break and other holidays check with us for further details). This course is still free. Diploma in employment law – blended learning one evening per week starting 19th April 2018. This course is at level 3. There is a course fee for this course amounting to £2088. In addition, the date may be subject to change. As you may also be aware we do run be-spoke courses for unions and union branches this could include dealing with redundancies, tackling discrimination at work, sickness absence policies, understanding pensions. We can also arrange for courses to be run at a venue to suit. Do get in touch if you or your union committee wish to run a specialist course. 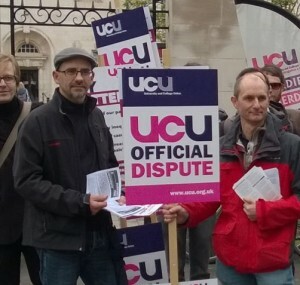 You can either email trade union education tued@conel.ac.uk or call us on 02084423075.